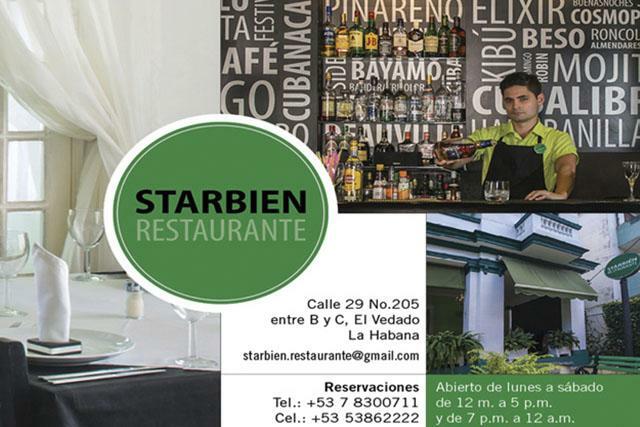 StarBien is a Havana paladar hidden in the leafy Havana Vedado neighborhood where the streets are populated by rows of early 20th century mansions. With all of the Corinthian columns, crumbling facades, and leafy vines If you don’t know what you are looking for you will miss it. 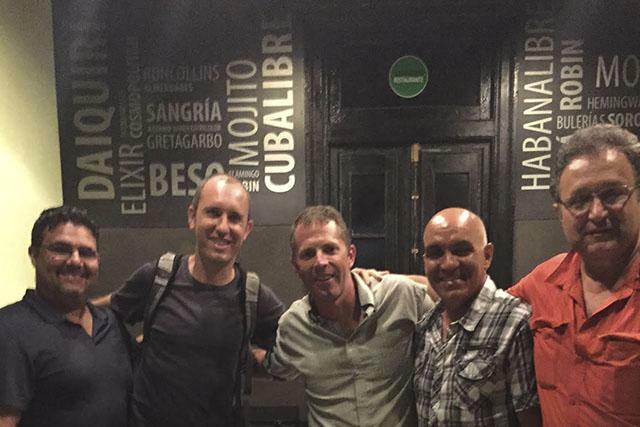 And you really shouldn’t, because for the last three years the chefs at StarBien have been serving up a mix of traditional and international cuisine that match the authenticity of the restaurant’s location with the cosmopolitan landscape of this part of Cuba’s capital. StarBien is as much as a study of architecture as it is a culinary experience. Upon entering the patio you still might not be convinced you are in a restaurant, plenty of potted plants, tropical trees, and a couple of park benches fill the patio. Only on the porch, which is large enough to seat 15 guests, does the present function of the structure reveal itself. The interior of the house also keeps loyal to the original structure which means almost all the dining rooms are private or semiprivate in the different rooms of the house. This means that this is a perfect restaurant for an intimate dinner, or reserve a whole room for a group of 10-20. A second story balcony offers outdoor dining for those who want fresh air and maybe to catch a peak at the neighbors as they go on with their daily lives. It must be difficult to live next to StarBien since the kitchen is always alive with rich wafts of home cooked food. 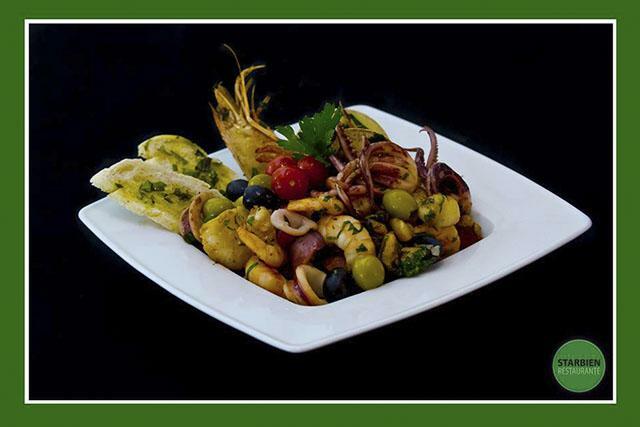 The menu offers a mix of Cuban, Spanish and Italian fare; with various seafood dishes that seem underrepresented in other paladares such as fresh ceviche and shellfish. The pasta is prepared in-house and has never seen the inside of a plastic bag. Normally Cuban eateries don’t offer more than a basic tomato based sauce on top of the noodles. StarBien has been perfecting creamy white sauces and light wine based sauces to drizzle over steamed clams and angel-hair pasta. These light seafood offerings can be paired with the restaurants extensive selection of imported Chilean and Spanish wines. The whites are served chilled and perfect to keep fresh if you are sitting on the front porch or second floor balcony. The best way to get to StarBien is on foot. The Vedado neighborhood is built for walking so you should take advantage of the Avenue of Presidents or Paseo to get to your destination. Plenty of shade and pedestrian space are provided in these boulevards that were products of French city planners in Havana. 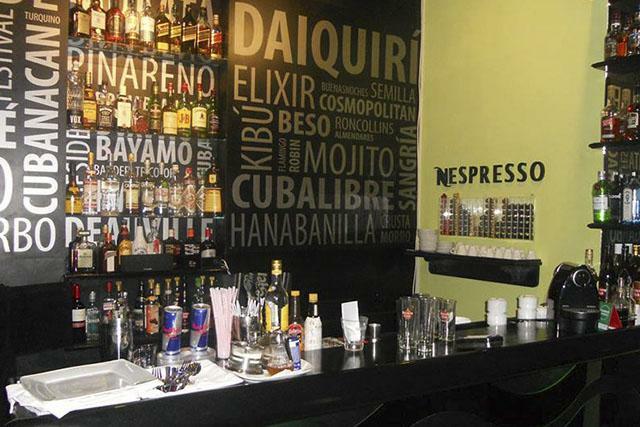 Vedado is the most cosmopolitan of Havana’s neighborhoods. And now with private business entering into the fray it is not uncommon to see government offices, a school, several private homes, a private restaurant, and small theater, and embassy all on the same street. Hidden amongst all of these is StarBien. Paladar StarBien is located at No. 205 29th Street between B and C in Vedado, Havana. 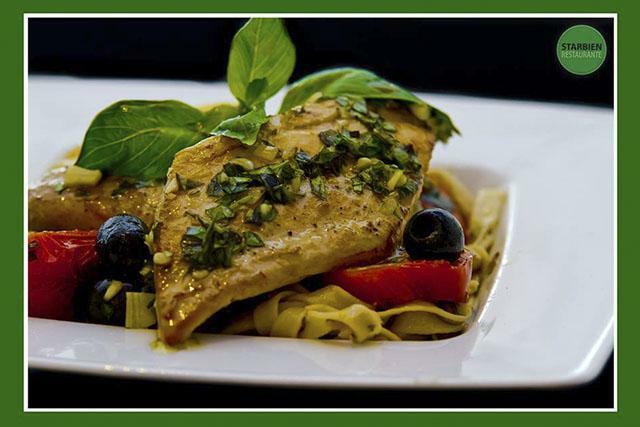 Open daily from noon to midnight you can make reservations at 53862222. Don’t be shy to ask the neighbors for directions, the signage is low key and blends in well with the natural greenry surrounding the building.